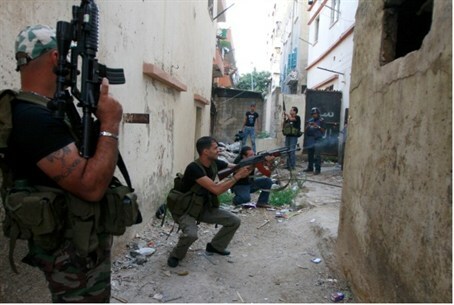 As rift deepens between Hamas and the Syrian regime, Syrian security forces shut down all the offices belonging to Hamas. Syrian security forces on Monday shut down all the offices belonging to Hamas in the country, Al-Jazeera reported. Despite previously being close allies, there has been a rift between Hamas and the Syrian regime ever since the uprising against President Bashar Al-Assad began. In the first months of the uprising, Hamas’ leaders expressed support in principle for the struggle of the Syrian people while also highlighting the importance of the movement’s historical relationship with the Syrian regime. However, as the rift deepened, reports surfaced last year that Hamas is moving its headquarters from Damascus to Egypt and the terror group is strengthening itself in the Sinai. Subsequently it was reported that dozens of Hamas members have quietly returned to Gaza from Damascus. Later reports said that Hamas leaders attached to the organization's long-standing Damascus bureau are fleeing Syria with their families as Assad's regime grows increasingly unstable. The areas in Syria which serve as camps for people registered as Palestinian refugees have openly sided with the rebels, and Syrian troops have attacked several such camps. Just last week, two Hamas leaders were killed by the Syrian army in a Deraa refugee camp. Last month, Assad's forces bombed the Deraa camp, killing at least 20 people and injuring dozens more. Sources in the Deraa camp told Ma’an that artillery shells and mortars targeted several streets near the area's mosque. In August, the fighting between Assad’s forces and rebels hit Al-Yarmouk, a Damascus neighborhood that serves as an unofficial camp for roughly 150,000 people registered as Palestinian refugees. Hamas issued a statement condemning the Syrian regime's attack on the camps, said that more than 320 registered Palestinian refugees have been killed since the beginning of the uprising in Syria. Most people in Syria who are considered Palestinian refugees are Syrian-born, but are not considered Syrian, and do not have political rights. Their situation is better than that of refugees in neighboring countries such as Lebanon, where refugees have limited work options and are refused citizenship.